I’m currently a PhD candidate at Dr. David Russel Johnson Lab link at EAWAG – ETH, Swiss Federal Institute of Technology, Zurich. Previosly I worked at Jan Roelof van der Meer lab at UNIL as a research assistant. The research focus was the study of the nitrogen cycle in soils using next generation sequencing in the Wester Swiss Alps (picture on the right shows the elevetion strata of the sampling site) . Characterization of microbial communities involved in nitrogen cycling applying Soil Metagenomics Analysis, Next Generation Sequencing Technology and Bioinformatics ( QIIME, BASH, R). 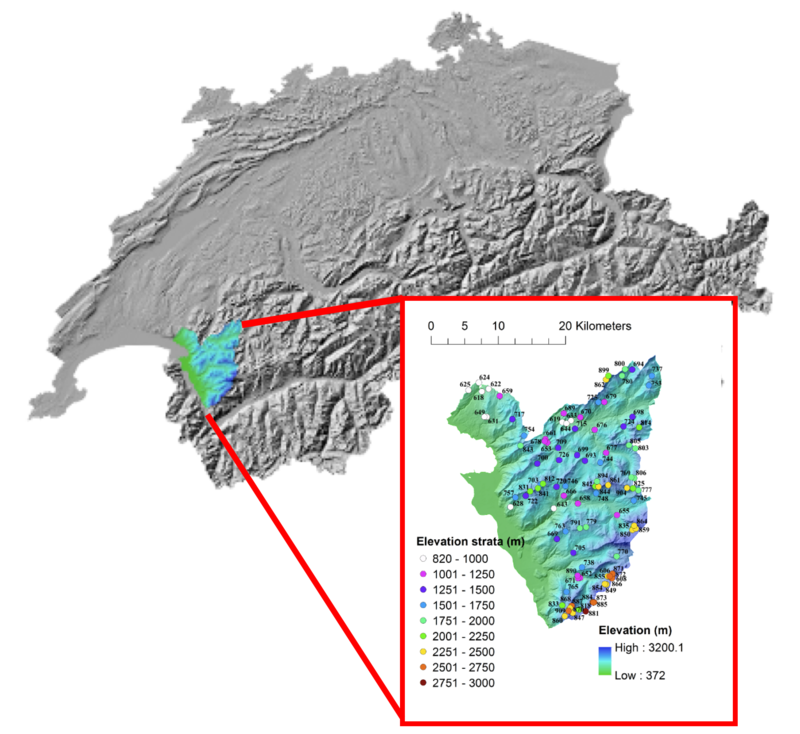 Analyze DNA samples isolated from more than 200 soil sites in the western Swiss Alps for the presence and diversity of the nifH gene. I optimized and develop a protocol that allows me to amplify nifH gene fragments from soil DNA using conserved primers, which can then be processed by Illumina high throughput sequencing. I built a database for nifH genes, that can be used as reference for sequence read mapping by QIIME. The project has the aims to study the biogeography of microbial communities related to more than 40 environmental variabilities. Competence aquired: next generation sequencing techniques, bioinformatic (Python, BASH for biological data manipulation, QIIME, UNCHIME, ARB, R), analysis of large gene data sets, soil metagenomics, molecular ecology, biostatistics.